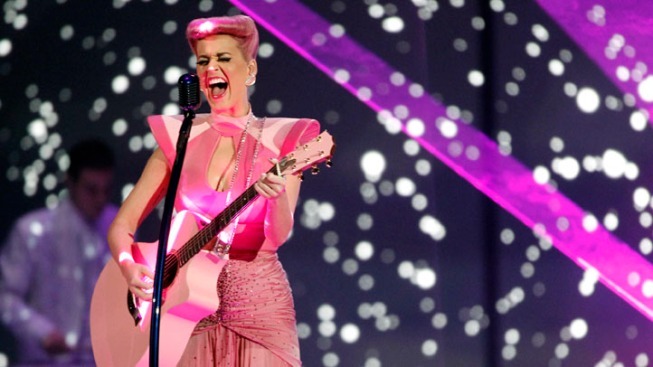 Katy Perry doubled down on pink for her rendition of "The One That Got Away" at the 2011 AMAs. 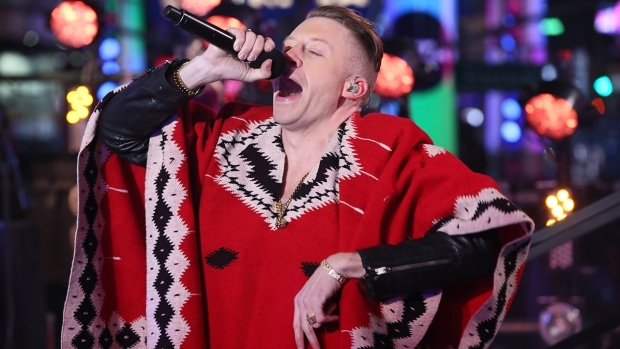 Pop divas, spage-age outfits and the color pink ruled the Sunday night American Music Awards. Taylor Swift won not only the favorite female country artist and album honors but also artist of the year at the annual pop music popularity contest in Los Angeles. 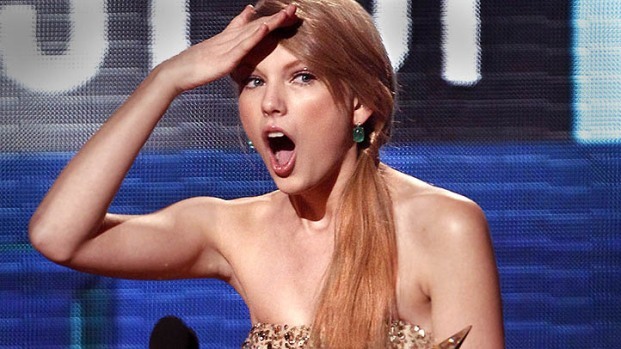 When she did, she gave her trademark Taylor Swiftian look of humbled shock. That artist of the year award wasn't her first; she won it in 2009, too. Hip-hop Barbie doll Nicki Minaj, who performed in a suit of futuristic armor along with her usual pink wig, won both hip-hop awards — artist and album — as the only woman nominee in either category. "I never thought this could be possible. Shout out to all the female rappers, past, present and future. I know Queen Latifah’s here. Love you," she said tearily as she won her award for her debut album "Pink Friday." (Latifah presented the pop group award.) Minaj also thanked her mentor Lil Wayne, whom she beat out for her other award. Nicki Minaj wasn't the only pop star blinding the audience with her metallic ensemble, either. Justin Bieber looked set for a sci-fi flick, and J.Lo looked like she had been strategically doused in jewels. Adele won both pop categories in which she was nominated, too, with a favorite album and favorite female artist win, as well as the favorite adult contemporary artist award. J.Lo beat out recent ex Marc Anthony for the favorite Latin artist award — and turned in memorable versions of "On the Floor" and "Papi" with a striptease around a car. (Pitbull accompanied her — and also guested in a separate performance by Marc Anthony.) In the night's other battle of the exes, Rihanna beat out Chris Brown for the favorite R&B album award. And another pop diva who didn't win in any of the categories she was nominated for, despite her outsized award show presence? Katy Perry, who performed "The One That Got Away" in all pink (that includes the guitar and hair), won a special award that recognized her for being the first female artist to score five number one hits from the same album, "Teenage Dream."